Patrick Jenkins is an award winning artist, animator and documentary filmmaker whose movies have been shown in Art Galleries and at International Film Festivals. His latest film is "The Museum of Lost Dreams" (2019). His film "Sister of the Wind" (2017) was made in collaboration with Grammy nominated flutist Ron Korb. His film “Emanations: A Visual Poem” was completed in 2017 won the Best Animation Award, at the 2018 West Virginia Mountaineer Short Film Festival and has shown at Festivals around the world, as was his 2015 film “Phantom City”, a magic realist, paint on glass animated, noir film. 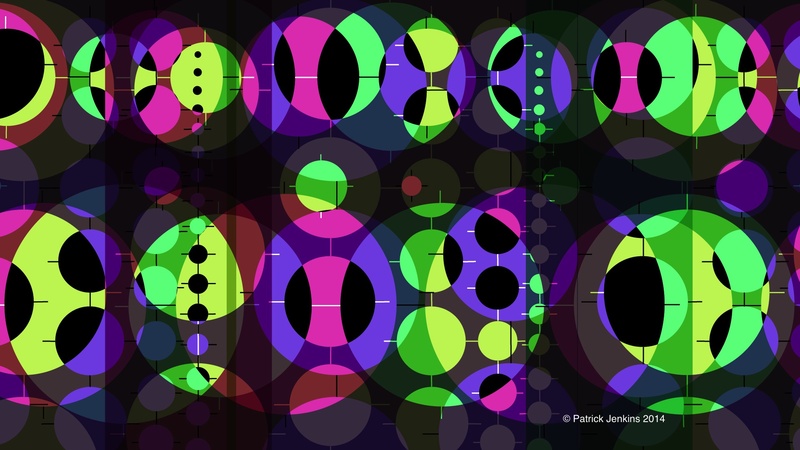 In 2014 he made "Circle Game" a short, computer animated abstract film. In 2012 he completed "Sorceress", a 9 minute mythological adventure story, done using paint on glass animation. "Sorceress" was in competition at the 2012 London International Film Fesival and has been shown at the 2012 Melbourne International Animation Festival, Australia; BE FILM, the Underground Film Festival in New York City and the TAIS Showcase, Toronto. His recent film "Tara's Dream" won both Second Prize and Best Animation Prize at the 2010 Toronto Urban Film Festival. His film "Amoeba" won first prize at the 2010 Toronto Animated Image Society Showcase. His film "Inner View" (2009), an animated homage to the art of Canadian artist Kazuo Nakamura was an Official Selection of Animafest, in Zagreb, Croatia in 2010. His film "Labyrinth" (2008), a surreal detective story, won 1st place in the Independent, 6 to 30 Minutes Category, at the 2009 KAFI Festival and 3rd Prize for animation at the 2010 Be Film Festival in New York City and was included in the dvd the Best of the London International Animation Festival 2009. His documentaries, "Of Lines And Men: The Animation Of Jonathan Amitay" and "Death Is In Trouble Now: The Sculptures Of Mark Adair" premiered on BRAVO! Television in October 2007. His film "The Skateboarder" premiered at the 2005 Montreal World Film Festival and was shown at the 2005 Ottawa International Animation Festival and the prestigious 2006 Annecy Animation Festival in Annecy, France. His documentary film "RALPH: Coffee, Jazz and Poetry, The Poetry of Ralph Alfonso" premiered at the 2001 Montreal World Film Festival and was broadcast on CBC Television's Canadian Reflections and BRAVO! Television. My films are distributed by Winnipeg Film Group Distribution. Click here to visit their site. You can see my films on video by demand here. My new book, "The Book of Dreams" (2018) collects 291 drawings from my sketchbooks. Perfect bound, 150 pages, colour cover 6" X 9", black and white interior drawings. The book is made up of daily sketchbook drawings with a written introduction.